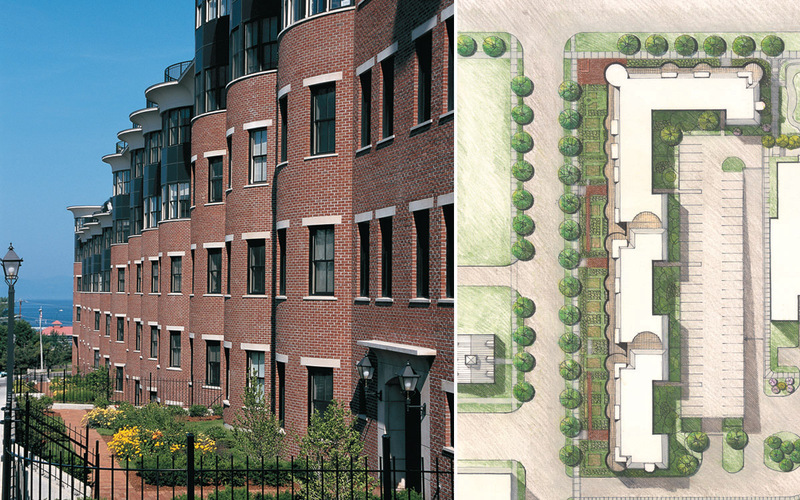 The Residences at College & Battery Streets in Burlington, Vermont embody the essential elements of urban charm and sophistication. This six-story, 127,000 sq.ft. building accommodates 80 living units ranging in size from one-bedroom apartments to three-bedroom penthouses. The building’s design and materials reference traditional New England urban architecture, with a touch of upscale elegance. Prominent masonry bows are reminiscent of historical models, give scale to a large building mass, and allow for unobstructed views of the lake. The project provides highly valuable residential living space within the Burlington’s downtown district. Parking for residents is provided by a multi-level garage in the interior of the project, not visible to passers-by.